This tutorial focuses on simplicity and easiness. If you want more details, please read the DIY_USB_adapter page. Buy a ready to use GIMX adapter from the official GIMX shop. 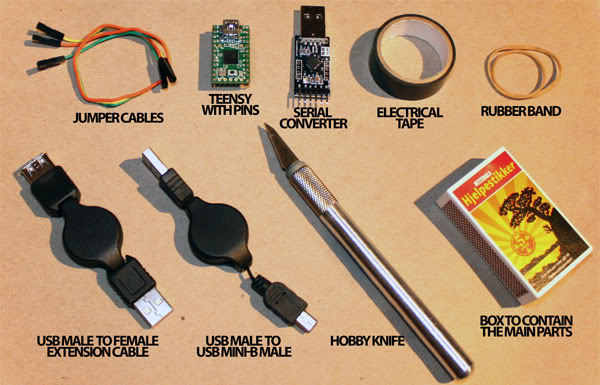 Welcome to the straight-to-the-point tutorial on how to build the GIMX DIY USB adapter, solderless! The other Teensy boards (++2.0, 3.x, LC, ...) are NOT compatible! And hopefully you have some basic tools like a hobby/utility knife or scissors laying around. Note: don't use retractable cables as shown in the above picture, use shielded USB cables instead. For easy access later on, just save/extract all the files to your desktop. To begin with, carefully check that your serial converter is exactly the same as in this tutorial. The adapter used in this tutorial is mislabeled: RXD and TXD are inverted. Next, I recommend you insulate the serial converter using the electrical tape if it's going to be in a tight enclosure, to avoid any shorts between it and the Teensy. 2. To save some extra space, I usually wrap the cables around the Teensy. There's no special way of doing this, so you just need to figure out what works best for your build. If you want, you can also place the serial converter so that the pins and jumper cables go in between the rows of pins on the Teensy. It's a very snug fit though so you should use some electrical tape to insulate the pins on the serial converter because they will touch the Teensy ones if you don't. Press the button on the Teensy and the LED should turn off. In Teensy Loader, open atmega32u4.hex (at90usb1286.hex for Teensy++ 2.0) from the firmwares folder on your desktop. Click the Program button and you should get the message "Download Complete" Now click the Reboot button and your GIMX USB adapter is ready for use! If the Teensy loader does not detect the device, try with another USB cable, and another USB port. NOTE! You can now unplug the USB Mini-B cable from your computer. 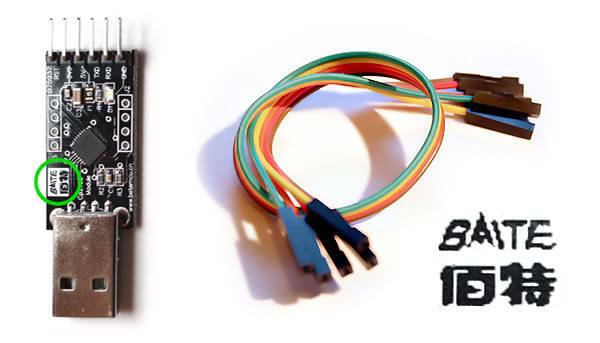 The USB Mini-B cable will only be connected to your computer when upgrading the firmware from now on. When in use, the USB Mini-B cable is connected to your console.